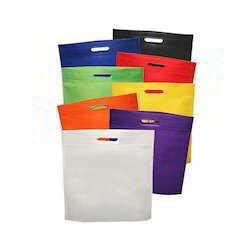 By leveraging upon our huge industry experience, we provide the best quality array of Non Woven D Cut Shopping Bag. 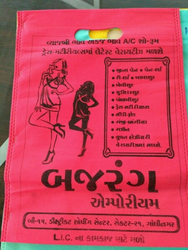 We are specialized in offering Colored Non Woven D Cut Bag to our customers. Our presented product is extremely used in the market owing to their top features. This Non Woven D Cut Bag is made out of PP-spun bonded fabric that is eco-friendly.